Happy Pancake Day : Wordless Wednesday Blog Hop…. 7 Ways To Follow Wednesday #Week 6…. Happy Pancake Day Clairejustine. Oh how I wish you could quickly send some of those delicious pancakes across the internet to me this minute! :) It is good to be co-hosting again. Oh you have a fun blog here. I found you via charming and heartwarming Theresa. She is the best, huh? I'm following you here and on your Pinterest site. Pancakes and Nutella- the breakfast of champions! Arr lovely, bet the enjoyed the pancakes? Love the look of these pancakes! Delicious! I think I'll have some more tonight. looks like a hit the spot breakfast! 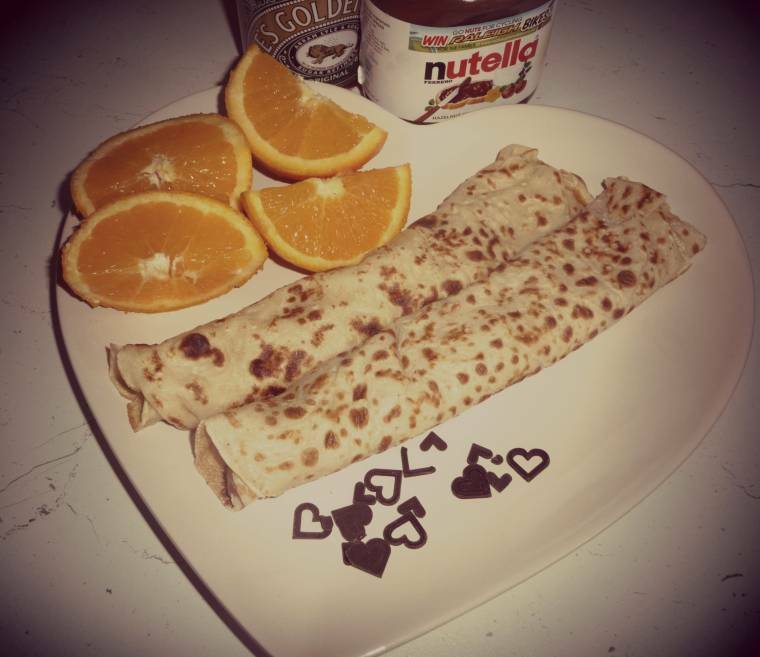 Is the Nutella inside the crapes? This sure does look yummy!Thanks for sharing & hosting WW! oh sweet mercy Nutella…..you're killing me. I'm gonna go grab some carrots. is pancake day official as declared by congress? Oh delicious , thanks for linking up.